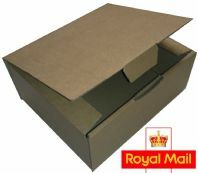 High quality die cut boxes designed for the Royal Mail Parcel rates. If you are wanting that finer finish to impress your customers these boxes do just that. Our die cut boxes have made appearances in several high street shops.